Point-of-care ultrasound is efficient. It is non-invasive. It is safe. And fortunately for everyone, it is becoming more and more ubiquitous. Most of the public is introduced to ultrasound when it was used to begin monitoring fetal and maternal health during pregnancy, but in fact, ultrasound’s utility has since spread into nearly every medical field. Used for diagnosis and for guiding procedures, ultrasound offers excellent imaging capabilities with minimally invasive, efficacious diagnosis abilities without exposing patients to ionizing radiation. Portable ultrasound machines are also well-adapted to prehospital settings in remote areas and at the scene of an accident. The eFAST exam (which looks for internal bleeding and punctured lungs) is commonly used in trauma bays around the world, and can be used to diagnose or rule out life-threatening conditions in pre-hospital settings. When symptoms yield inconclusive diagnosis, bedside ultrasound can offer insights into injuries not detected by physical examination and patient history alone. It is imperative that ultrasound companies design imaging solutions that are both highly usable by trained medical providers, but also reliable enough to function consistently even in challenging environments like refugee camps or battlefields. Devices must be high-quality, and also backed by comprehensive support and service, just in case. 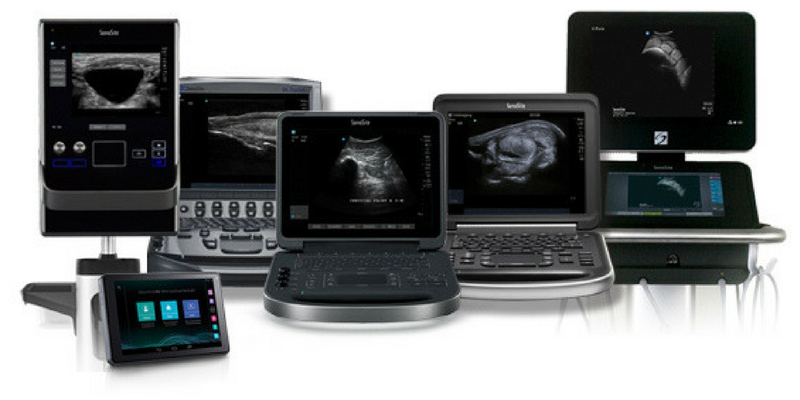 But what should a medical provider look for when selecting an ultrasound system? Read on to find out at the Economic Times of India.